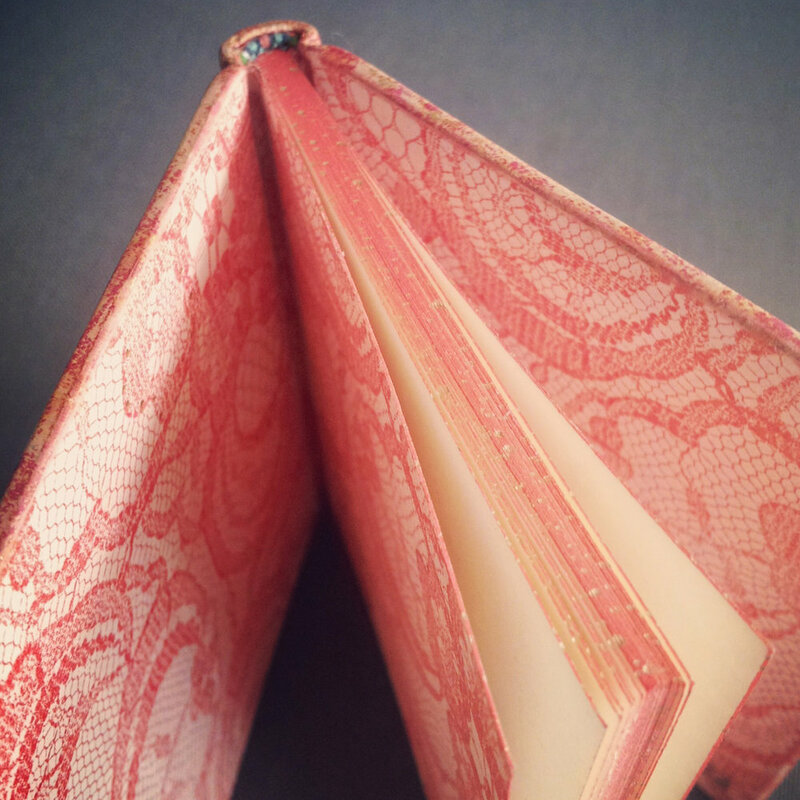 The book was bound in fair goat which has been painted and printed using leather dyed pieces of floral lace. Gold foil was stencilled onto the surface of the leather and distressed to high-light the lace design. 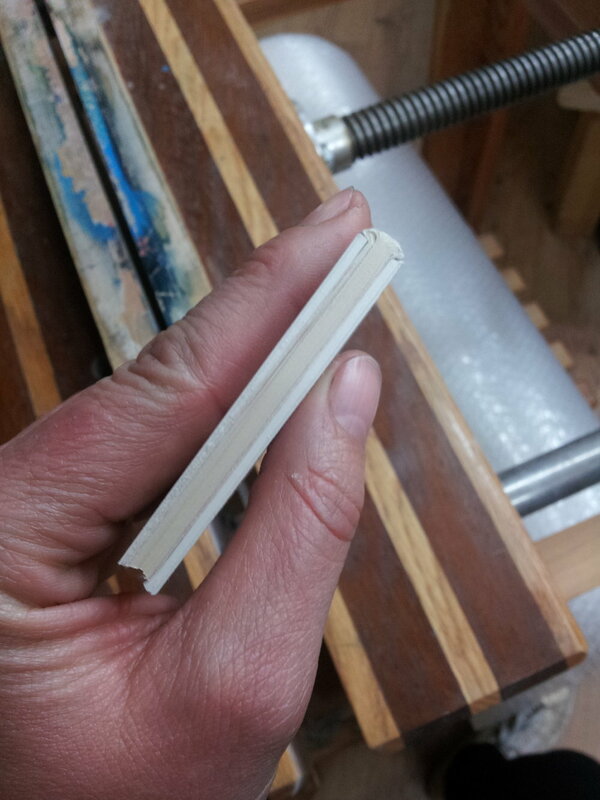 There is also some gold foil tooling. There are hand-sewn, silk headbands and the edges have been decorated with an acrylic wash and foil tooled. The leather jointed endpapers are relief printed using oil-based inks and pieces of lace and gold tooled. The choice of colour and design was inspired by the small illustrations and floral motifs within the text. The coral-like colour and swirly patterns are fairly dominant throughout and I wanted to use these to create a harmony throughout the piece. The silk headband colours are influenced by the pictorial stamps inside the text. 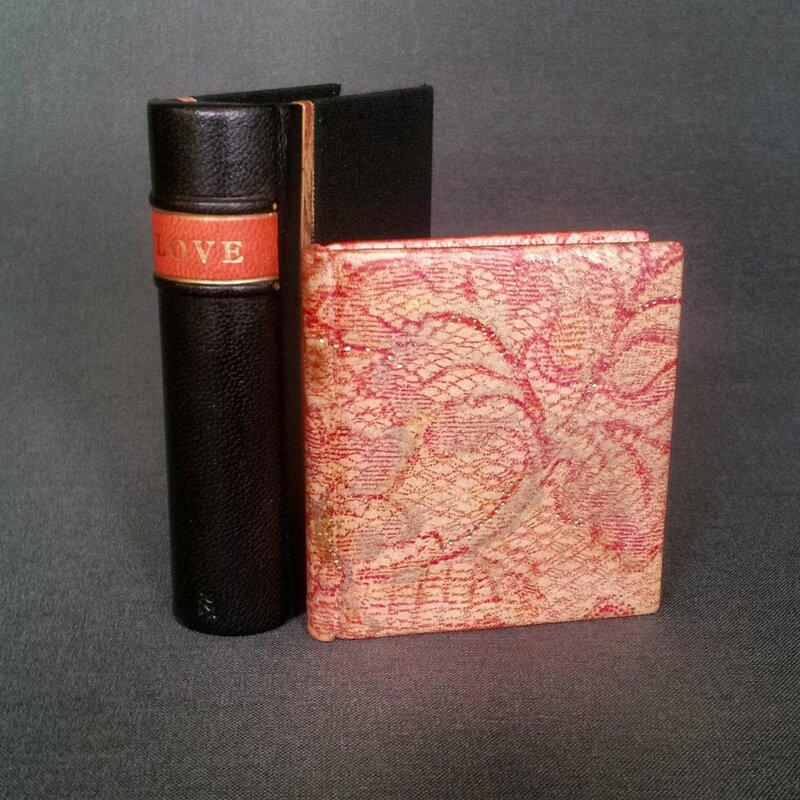 The miniature has been housed in a black, quarter-leather drop-back box with black book-cloth sides. It has decorated leather strips to the front and back boards which match the binding, with a dyed leather label and gold foil lettering. The insides have black Suedel “cushions”.